The Enchanted collection, by designer Chong-a Hwang, is bursting with alluring colors and patterns. 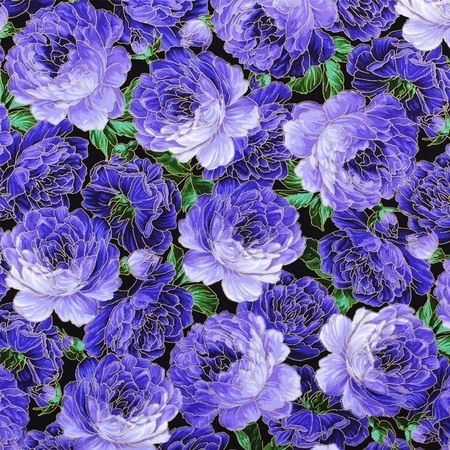 This floral print features large, purple flowers with rich green leaves, trimmed with a metallic golden outline. Pair with any Chong-a Hwang print in the Enchanted collection for an elegant quilt, wall hanging, purse or pillowcase.